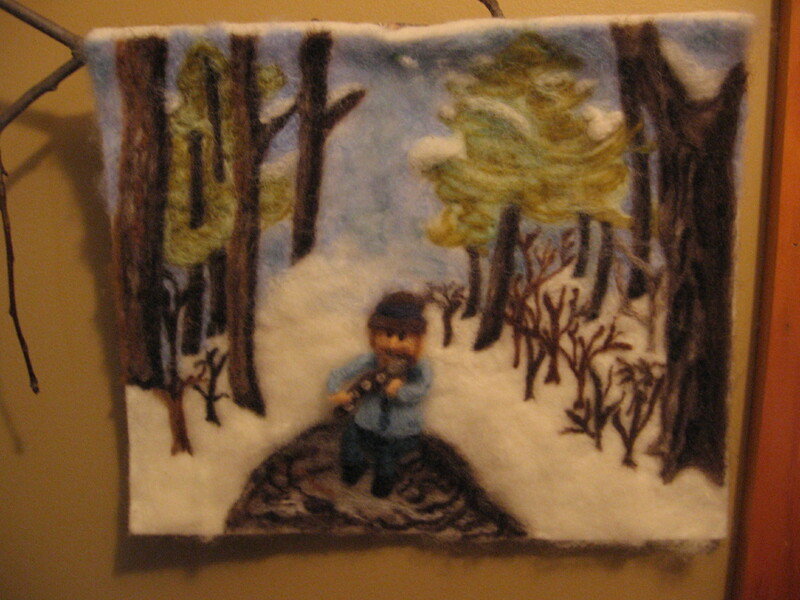 These needle felted forest and farm folk are each hand made one of a kind creations made from my hand dyed fibre. Watch for their up and coming life stories. Phone for a personal viewing of these little folk. Various Prices. 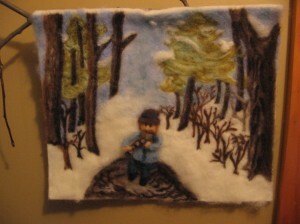 Needle felted pictures with hand dyed wool are recreations of nature from our property.